Fantasy baseball is a big crowd favorite, but a lot of people have trouble focusing on the game the entire season. It’s a long season, spanning 162 games and several months for just the regular season, but single day leagues played at daily fantasy sports sites make it a lot easier to enjoy fantasy baseball on your own terms. You can play every day if you’d like, or once in a while–whatever is best for you and your schedule. There are a number of benefits to this, of course. The most important is that it allows you to focus on fantasy sports only when you are at your best. 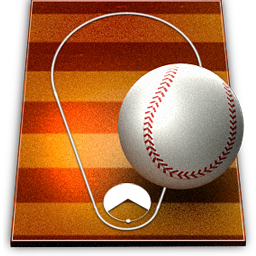 A season long league in today’s computer friendly environment requires daily concentration, even for a season long league. This can be a grind when you consider the fact that the MLB season starts at the beginning of April and goes until the end of September. It’s a lot of time to stay on top of something and give it your best effort, and while many people enjoy this aspect of it, others find that it makes them lose interest. Unfortunately, when you are playing for money, this means that you are lessening your chances of being profitable. By playing in a one day league, you can maximize your attention, and make sure that you are giving yourself the best chances of winning possible. The downfall is that there is variance in a daily fantasy sports league, and this goes for any sport, not just baseball. But if you play just once in a while, because of the variance, there is a chance that you will not win. Of course, the more you play, the lesser your variance. If you’re just starting out, the best way to overcome this is by playing for the lowest stakes possible. You also need to pick the right leagues to play in, too. Certain games, like multipliers, allow a small number of people to double their money, or more (depending on the multiplier). These are a good way to increase your chances of winning cash, and as you learn the ins and outs of the game, it’s a good way to stay afloat until you gain the experience necessary to be more profitable. The best way to master daily fantasy baseball leagues is to incorporate value into your drafts, and only play in the leagues that give you an advantage. You will learn these things over time, but you need to start with the draft format. In salary cap, players are given a price, and the more you pay, the more points you want that player to score for you. Ideally, you want to get as many points as possible. The cash isn’t a big deal, but the better players tend to cost more. If you can buy a player for $8,000, but score the same number of points by spending $7,800, the cheaper method is the best. Once you get going, you will find that by spending less money in one area, you can use it in other places to gain even more points. Cash doesn’t win games, points do, and that means production at the plate and on the mound. Like we described above, different game formats have different strengths. If you’re playing with friends, that’s one thing, but if you’re trying to make money, you need to maximize the bang you get per investment dollar. Play around with the different league and tournament formats to see where you are most successful, and then make adjustments to increase your profits as you learn more.